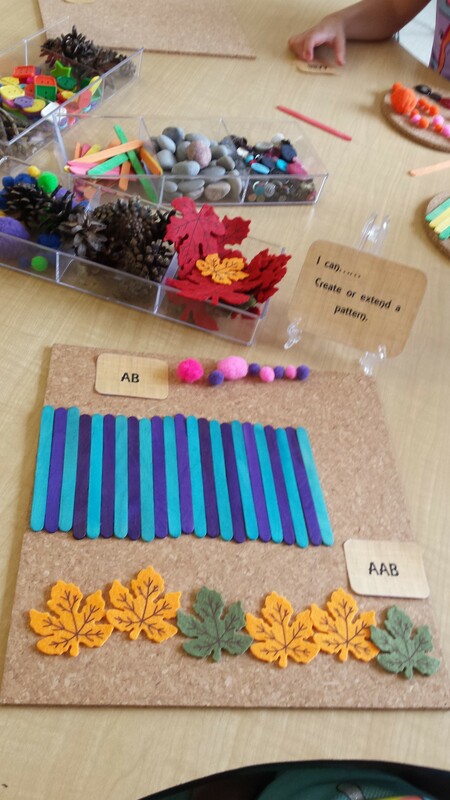 October 28, 2015 October 21, 2015 Amanda B.
I love to incorporate loose parts activities in our classroom, but I like to focus the student’s attention on a concept that they need to work on. An easy way to do this is to add task cards to the center. For patterning, I came up with a simple set of cards: There is a main “I Can…” card, and 12 smaller cards with pattern rules. 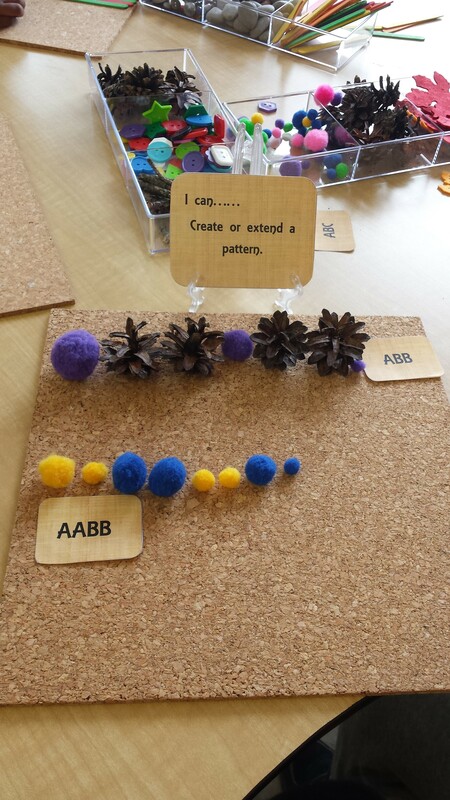 These task cards work great and the children were able to create and extend patterns following the rule, or find a card with the rule that matches the pattern that they had already made.